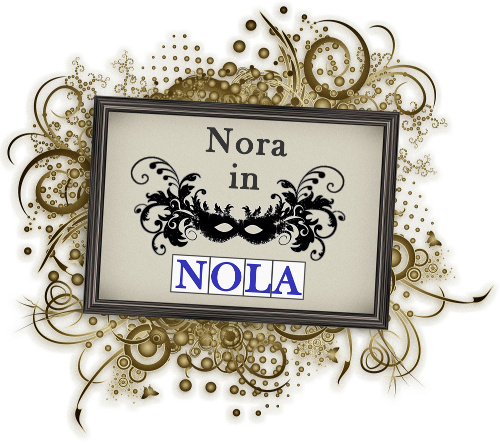 NORA in NOLA: Productive Socialization! Sometimes the breadth and scope of Stuff To Do here can be overwhelming. Especially in summertime- it's hard to follow through with plans that are further afield than Pete's or The Avenue Pub or Parasol's. Hanging out there is generally always good times, but we end up letting go of other more complex plans because it's hard to motivate. Or, you know, find parking. But this week we did pretty good! Tuesday night we helped out with the Neighborhood Night Out at Burke Park, Thursday we went to the Eatventful networking event at Capdeville, and last night, well, we went to The Avenue Pub. But it was a lot of fun- we're getting to be regulars there and we had some fun conversations over some very tasty beers. Today I got up early and got donuts from Freret Street (plus an awesome apple fritter) and then we were able to motivate ourselves to the Prytania Theater's viewing of Casablanca. Man, not to state the complete obvious, but that is one great movie. Every time I watch it I just love it more and more. Especially this showing- the owner (who obviously loves this film and movies in general lots and lots) came out to introduce it and invited us to look at his original script and enjoy cake and coffee after the showing. He just had such joy about sharing the movie, I fell in love with him a little bit. I was also proud of us for getting to a movie, as we are notorious for NEVER EVER going to the movies. I can't even say the last one we've been to, because it's laughable how long it's been. So, awesome movie at a wonderful independent movie theater. Hooray! Maybe we will get to Inception while it's still playing there this week. Afterward, we went to Nirvana on Magazine Street for Indian buffet, which I was craving. Saag, eggplant curry, chickpea curry, chicken curry, chicken tandoori, really good chutneys (the mint and mango were my favorites) with rice pudding and soft serve mango vanilla ice cream for dessert. Very basic- but just what I was looking for. My only wish is that they did the naan to order, as I've seen in other places- naan does not keep well. But the mango ice cream was a nice touch. The best part is the table that sat down after we we were asking about hummus, and then leaving in a huff when told confusedly that... they don't do... that. OMG, I almost fell out of my chair laughing. So, after eating a large amount of buffet food, we came back for siesta and I decided that I would check out the White Linen Night downtown- an annual August event in the Arts District. There's music, and wine/beer/Absolut cocktails for sale along with food from local restaurants. I had 2 ginger lemonade cocktails, a pork cheek and blackeye pea dish from American Sector, and a heirloom tomato and watermelon salad with crabmeat for less than $20. I wandered up Julia from South Peter Street to Camp Street and back down again. Now, it may go without saying, but it was HOT. That's why they call it White Linen Night, folks are supposed to wear their best summer weight clothes to combat the heat. I wore a lightweight silk/cotton sleeveless white shirt from Lands End and my long white linen skirt. Was still hot as hell. But the galleries were a welcome respite from the heat and the humidity. I got into about 8 or 10 places- they were all pretty packed, but I saw some interesting pieces. I am hoping to be as accomplished in my ambitions tomorrow- the Satchmo festival is sponsoring a Second Line Parade in Treme to the Marigny. It'll be a 15 block walk in the blazing high noon heat- should be interesting! Down here that's just called ice water. No criticism, love your blog. Heh, thanks for the linguistic guidance!